PGIMER 2019 Application Form: Postgraduate Institute of Medical Education & Research, Chandigarh is going to schedule PGIMER 2019 exam on 25 November for January Session. If you are interested to apply for this exam, then you can register yourself. Candidates who want to register for PGIMER Online Registration Form need to go to the official site. 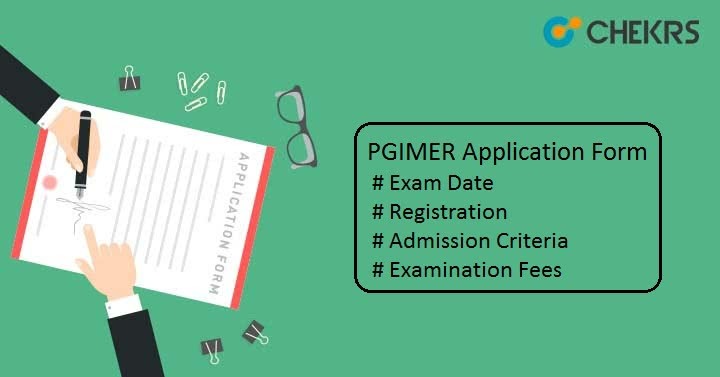 Candidates going to apply for the Entrance Exam, must check the listed PGIMER Eligibility Criteria to be eligible for the exam. Applicants will have to complete the one year rotatory internship on or before 31 December 2018 2018 for January Session and for July session on or before 30th June 2019. For MD/Ms course, candidates must have MBBS degree or equivalent degree from any universities or institutions recognized by Medical Council of India. Candidates should have Registration Certificate from Medical Council of India (MCI). Foreign National candidates can also apply for PGIMER 2019 but they will have process for applications through Ministry of Health and Welfare, Government of India and should have permission from MCI. For DM/M.Ch programme, candidates must have passed MS/ MD degree or its equivalent qualification from institution recognized by MCI. Candidates applying for DM/ M.Ch exam must satisfy the minimum age limit i.e. 35 years as on or before 31st December for January and 30th June for July session. Relaxation of 2 years for OBC & 5 years for SC/ST candidates. Go to the official portal i.e. pgimer.edu.in or Directly Here. Read the all the instruction carefully before proceed for registration and then click on “Apply Now” button. Fill the required details and to proceed click on “Continue” button. Click on “Submit” button to complete the registration process. Once registration is done, you will get an application no & password on your registered email id or mobile no. Enter the complete information such as personal details, qualifying examination details, permanent address etc and click on ‘submit’ button to move for next process. Upload the scanned images and documents as per specified format. Click on “Upload” button to submit the images and documents. Next step is to pay the examination fee. Choose the 2 options available there to submit the fees. Candidates can pay fee through Bank Challan having name of Director, PGIMER, Chandigarh (Examination) in Power Jyoti Account and submit at any SBI branch. Or you have account in SBI bank then you can pay the application fees through SBI I-Collect service. After final submission of form, take the print of it for future use. Candidates having queries related to PGIMER Application Form 2019 can ask their questions in the comment box below.